Born and raised in Illinois, Dr. Steve Dugan nurtured an affinity for animals from an early age. After receiving degrees in both chemistry and mathematics from Southern Illinois University, he went on to attend the University of Illinois where he earned a doctorate in veterinary medicine (1986). In 1987, he completed an internship in small animal medicine and surgery at Cornell University. Always the avid learner, Dr. Dugan desired to continue his education through veterinary specialization and found his calling in ophthalmology, drawn to the dual aspect of medical and surgical management training which it encompasses. Dr. Dugan completed a 3 year residency in veterinary ophthalmology at Colorado State University. In 1990, he became board certified as a Diplomate of the American College of Veterinary Ophthalmologists (ACVO). He briefly served as assistant professor of comparative ophthalmology at the University of Illinois, prior to his decision to enter private practice in 1992. Dr. Dugan routinely attends continuing education events and has completed an elective Maintenance of Certification (MOC) through the ACVO in order to provide the most progressive care for his patients. 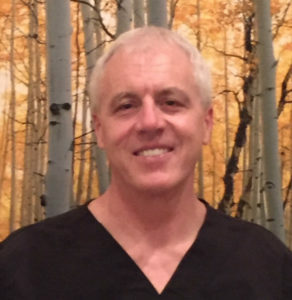 Dr. Dugan is a member of numerous professional organizations including the American College of Veterinary Ophthalmologists (ACVO), American Veterinary Medical Association (AVMA), Colorado Veterinary Medical Association (CVMA), and the Colorado Springs Area Veterinary Medical Society (CSAVMS). He currently serves as the secretary/treasurer for the ACVO Vision for Animals Foundation (VAF), a nonprofit organization whose mission is to improve the quality of animal life by restoring and preserving vision through research and education. Throughout his esteemed career, Dr. Dugan has provided invaluable contributions to furthering the research and knowledge on various ocular diseases (e.g. squamous cell carcinoma). His work has been published numerous times in peer reviewed literature, including the Journal of the American Veterinary Medical Association (JAVMA). He has lectured on equine and companion animal ophthalmology regularly over the years in a variety of local, regional, and international forums (such as the annual ACVO conferences). For the past 24 years, Dr. Dugan has worked in private practice, providing honest, expert, and compassionate care to thousands of animals. Amongst his extensive services, he has successfully performed over 2,200 cataract removal surgeries. Additionally, he provides pro bono services for animals at the Denver Zoo. Dr. Dugan and staff look forward to assisting you and your pet!